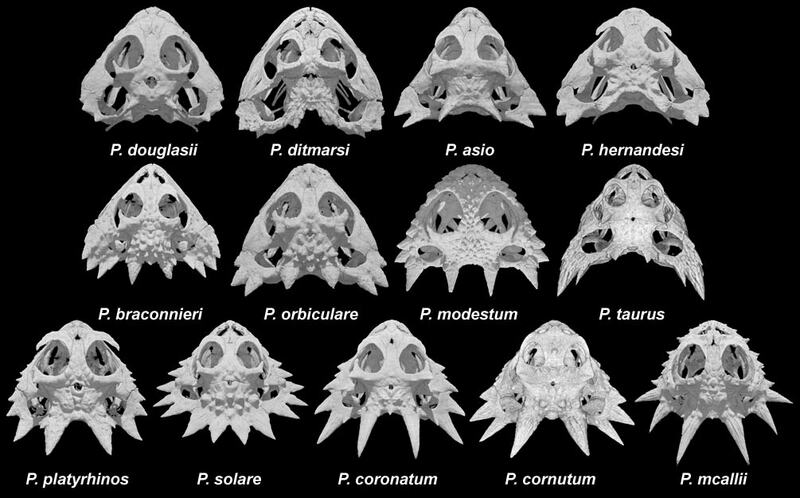 Three-dimensional reconstructions of the skulls of the thirteen extant species of horned lizards. Skulls are roughly arranged according to increasing horn prominence. The parietal (=occipital) and squamosal (=temporal) horns are a distinguishing characteristic of horned lizards. Skulls not to scale.